According to "Food Truck Nation," a study released today by the U.S. Chamber of Commerce Foundation, Chicago ranks 13th in the U.S. for friendliness to food trucks—behind Indianapolis, Raleigh, Nashville, and Saint Louis. Portland is first among the 20 cities analyzed, followed by Denver and Orlando. Bigger cities fall lower in the list, but LA and New York, in eighth and ninth place, still finish well ahead of Chicago. The study, conducted over the last year, claims to be the most comprehensive ever conducted on the national food truck industry; rankings are based on an in-depth look at the regulations and restrictions that govern food trucks in each city. Another component of the project was a survey of nearly 300 food truck owners that provided firsthand accounts for each city. In Chicago, the study notes, the number of food trucks fell by half between 2012 and 2017, which is in line with what I found last year when I was researching why Chicago's food truck scene has stalled out. I also found that both Minneapolis and D.C. have more food trucks than Chicago despite having much smaller populations. Food Truck Nation ranks both cities lower in its index (17 and 19, respectively), but its focus is on the regulatory burdens that exist in each city rather than how many food trucks are operating. 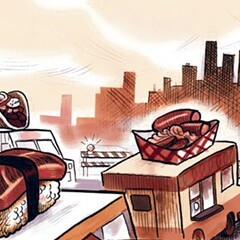 Across the three categories analyzed, Chicago ranked 15th for ease of obtaining permits and licenses, ninth for rules that operators have to comply with on a daily basis, and a dismal 17th in "operating a food truck." The last category is a measure of the rules operators must follow to meet legal compliance each year, including inspections, trips to regulatory agencies, and costs associated with compliance: in Chicago fees average over $32,000 a year, second only to Boston (where it's almost $38,000) among the cities analyzed. The experience of operating a food truck in Chicago is perhaps one of the most difficult in the country. 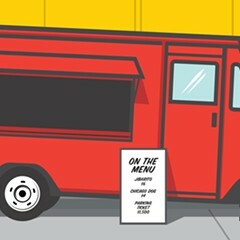 No food truck can operate within 200 feet—roughly the wingspan of a 747 jumbo jet—from the front door of any restaurant, grocery store, or even vending machine. If a food truck owner violates this ban, he or she faces fines of up to $2,000, or 10 times the fine for parking in front of a fire hydrant. As one owner noted in our survey, the proximity rule “treats food trucks as criminals rather than as entrepreneurs, and creates an unnecessary and ridiculous environment in which trucks must break the law in order to have any hope of meeting costs or making money.” Combined with the city’s proximity and parking restrictions, only 3% of the downtown Loop is legally open to food truck operators. Even most private lots are off-limits; only parking lots approved for commercial use may be used. Trucks are often forced to pay “spotter cars” at least $80 a day to save the most lucrative legal spots. Moreover, a truck cannot remain in one location longer than two hours, which is hardly enough time to cook, sell, and properly dispose of food for a lunch rush hour. Things aren't getting any easier in Chicago. A legal battle over the constitutionality of the restrictions on food trucks has been playing out since 2012; last December an appeals court ruled in favor of the city (a decision that came almost exactly a year after a circuit court ruled that the restrictions are not unconstitutional). Plaintiff Laura Pekarik, owner of the Cupcakes for Courage food truck, filed an appeal last month asking the Illinois Supreme Court to hear her case. 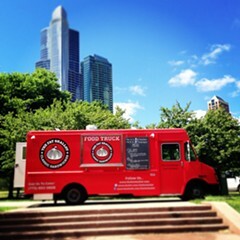 Meanwhile, a proposal introduced to the City Council by First Ward alderman Joe Moreno at the end of 2016, which would allow food trucks to remain parked in the same spot for up to six hours, also appears to be stalled; there have been no updates on the proposed amendment in the last year. Last year when I interviewed Gabriel Wiesen, owner of the Beavers Donuts food trucks and president of the Illinois Food Truck Association, he noted: "We used to joke that it's less of a risk to sell pot on the street than it is to sell food from a food truck. If you're caught with pot here, it's a couple-hundred-dollar fine and you can go on your way. 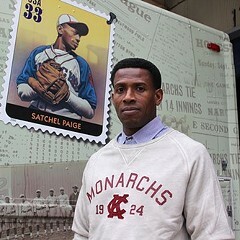 With a food truck it's thousands of dollars, having to get an attorney." So far, at least, that still holds true. 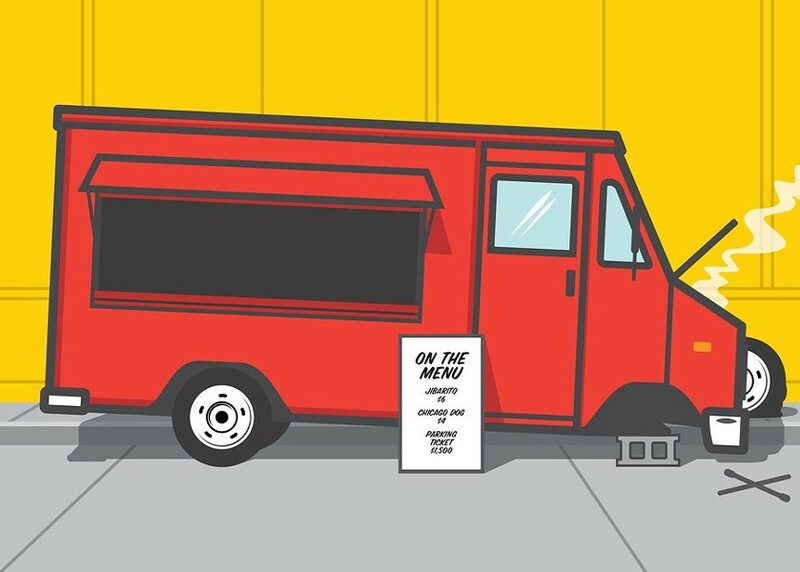 As food trucks have flourished in other U.S. cities, the mobile food industry in Chicago has been systematically immobilized by legislative opposition, onerous red tape, costly fines, and the pro-restaurant lobby. Pretty much every chef in Chicago has an idea for a food truck—but two of them have just served potential legislation to the City Council.